It’s Christmas time in London and Rafe Bowman has arrived from America for his arranged meeting with Natalie Blandford, the very proper and beautiful daughter of Lady and Lord Blandford. His chiseled good looks and imposing physique are sure to impress the lady-in-waiting, and if it weren’t for his shocking American ways and wild reputation, her hand would already be guaranteed. However, Christmas works in the most unexpected ways, changing a cynic to a romantic and inspiring passion in the most timid of hearts. 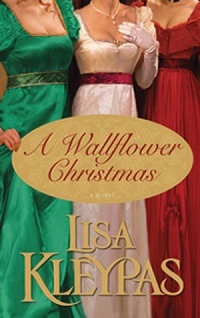 A Wallflower Christmas takes a trip to Victorian London, under the mistletoe, and on a journey of the heart.